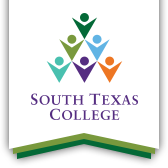 Salma Martinez says she is continuing a long tradition, following in the footsteps of family members who have graduated from South Texas College and gone on to successful careers. Salma graduated with an associate degree in Business Administration, and was one of over 2,000 students who received their degrees at the Dec. 1 commencement ceremony at State Farm Arena. She is currently a student employee for the Starr County Campus Student Activities & Wellness Department as well as a Valley Scholar recipient. Born and raised in Roma, Salma says she now plans to pursue a bachelor degree in Organizational Leadership with the hopes of eventually starting a career in accounting. For more than two decades now, the Valley Scholars Program has provided educational opportunities for the brightest students in the Rio Grande Valley. Since its inception in 1997, the Valley Scholars Program has continued its mission to provide educational opportunities, leadership development, and scholarships to academically gifted and highly motivated students.